Welcome to Long Island Wine…. 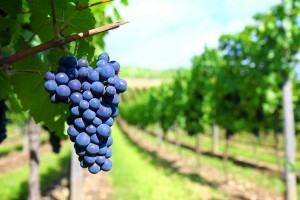 Come visit Long Island wineries and awaken your senses. You can spend the entire day bouncing from vineyard to vineyard. Most wineries open at 10:00 am. There is an array of possibilities waiting to be unleashed. Quench your thirst of knowledge with a tour to discover the process of wine making. Browse the gift shops for novelty items and souvenirs. Pack a lunch and dine at an outdoor oasis of tranquility. Savor the aromas and let them fill your being as well as transcend your soul. Eat like a king and feast on wine, sandwiches, fruit, cheese and crackers, and sweets. Sprinkle some dessert wine over ice cream or sip with chocolate and experience the sweet explosion of flavor in your mouth. Take the opportunity to explore Long Island’s east end and turn your ordinary weekend into extraordinary. There is something for everyone. Along the way there are several farm stands, outlet centers for the shoppers at heart, and of course the allure of the Hamptons. Don’t forget to pick up some rich creamy fudge for the ride home. And learn more about the history of Long Island Wine. LIWine.com is a LIVentures Project.